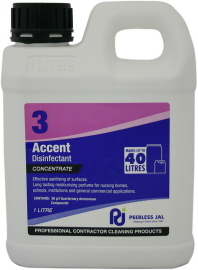 Accent Musk Disinfectant is safe for use on all surfaces unaffected by water and may also be used in septic tanks. 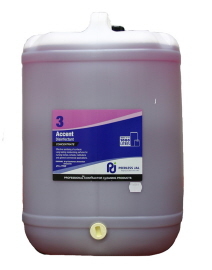 A Quaternary Ammonium Based germicidal disinfectant incorporating a non-ionic detergent which makes it an ideal cleaner, deodorant and disinfectant that performs efficiently in the one operation in both hot or cold, soft or hard water. 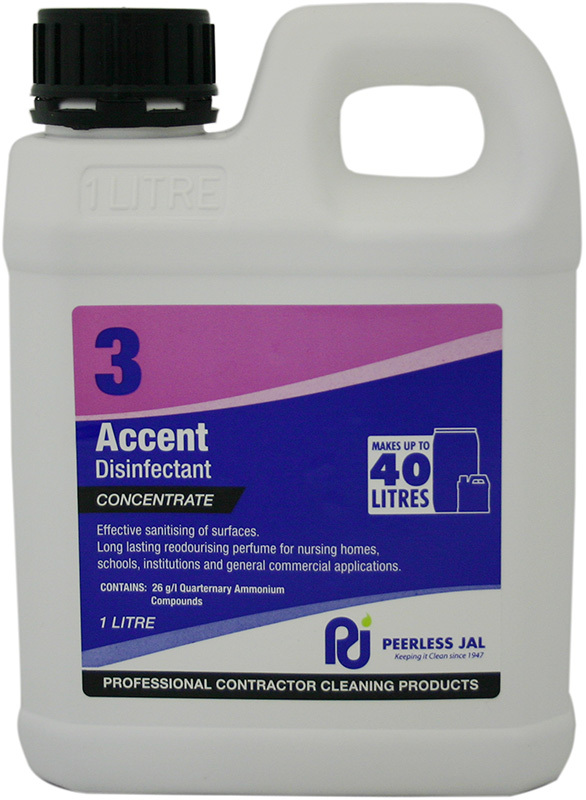 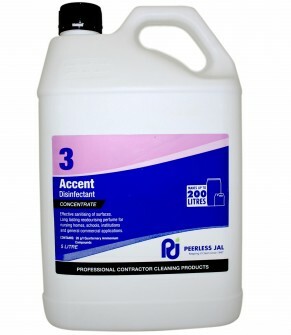 Accent Disinfectant will destroy most common bacteria in bathrooms showers recesses, toilets, hotels, institutions, schools, garbage containers and kennels whilst leaving a pleasant residual odour. 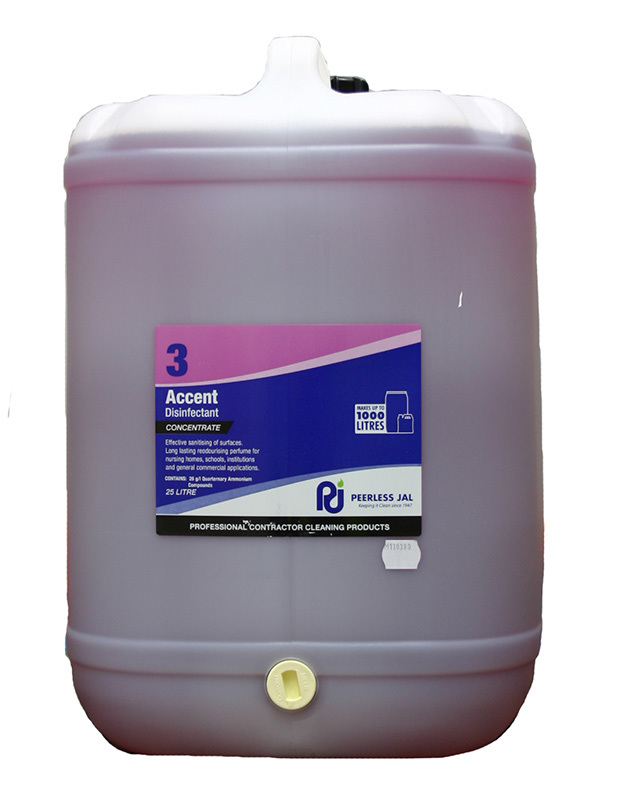 Click to download Accent Musk Disinfectant MSDS.